This weekend was all about vision. 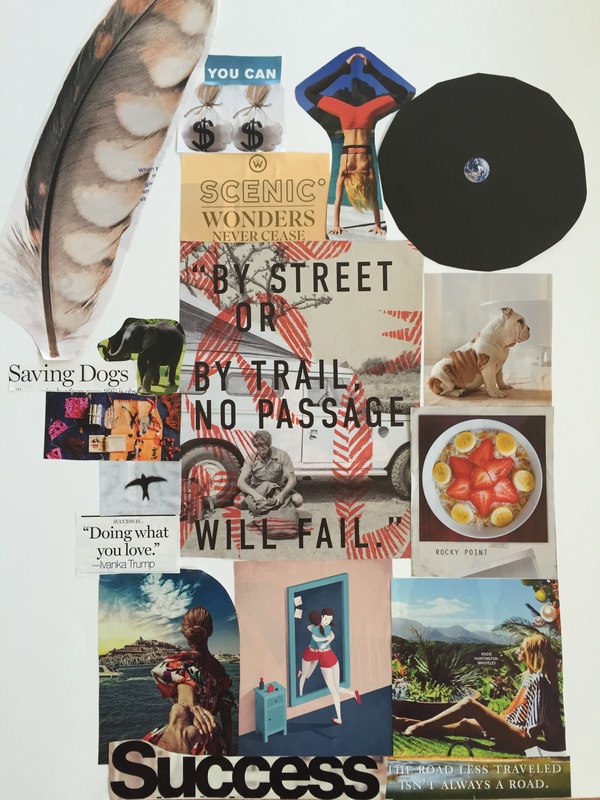 I spent Saturday with friends going through magazines making vision boards of the things we wanted to manifest in our lives. Some of us had things in mind before making them, while others like myself, had no idea what our vision was. So I decided I’d start flipping through and cut out images as they inspired me. The earth in outer space. A girl hugging herself in the mirror. One of Murad Osmann’s iconic “Follow Me” images. Exotic places I’ve never been. A yogi balancing upside down. Suddenly the vision was overwhelmingly clear. Whether it be professionally, physically, or spiritually – I am itching to go places. On Sunday I read a few chapters of a book that for months, I told myself I didn’t have time to read. 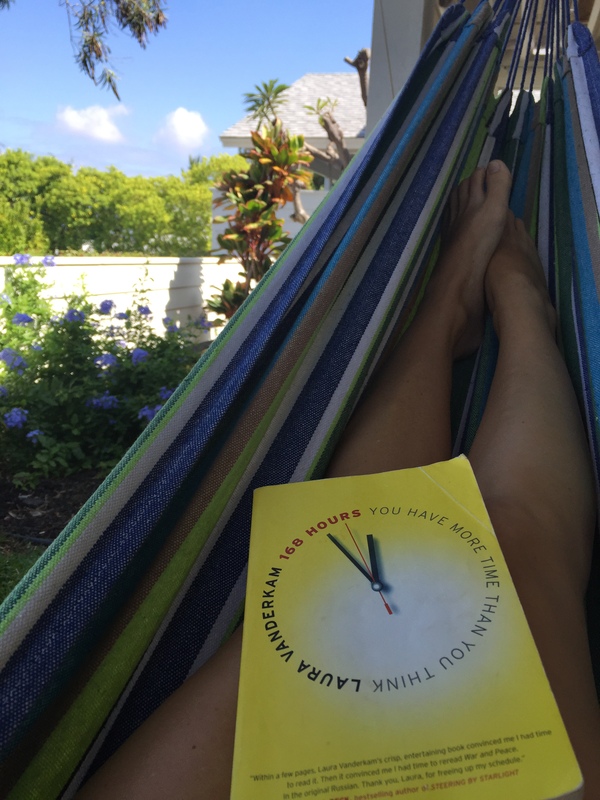 168 Hours: You Have More Time Than You Think (ironic, isn’t it?) by Laura Vanderkam. The book explains early on that most people relate busyness and time spent working to their worth. Most people exaggerate time spent working because we don’t enjoy what we’re doing, or it makes us appear more productive or important, or because we genuinely don’t know how we are spending our time. I read about the lives of some incredibly successful individuals who not only excel in their careers, but in all other aspects of their lives. People who make six-figure salaries in careers that they genuinely love, people who exercise regularly, spend time with their families, walk their dogs, go to social gatherings, enjoy hobbies like singing in a chorus or writing poetry, all with the same 168 hours a week that I have. It was completely eye opening. These people live their lives full to the brim without feeling frazzled, because of how they view and manage their time. All while I couldn’t even find the time to read this damn book. I woke up this morning with a completely different perspective. I made myself an iced coffee, got on my yoga mat, spent time working for my favorite client, and then wrote, and wrote, and wrote. Hours and minutes were choices. Precious choices. As the sun set, I finally got up to stretch and get some water, and I walked by my unfinished vision board sitting on the counter. The only thing between me and all those things I didn’t even know I wanted, was myself. Not work or time or anything else that could be considered a good enough excuse. There are going to be times where you aren’t sure what you’re looking for. You have no idea and then all of a sudden, it’s laid out right in front of you in tiny pieces. It’s up to you to put the pieces together.